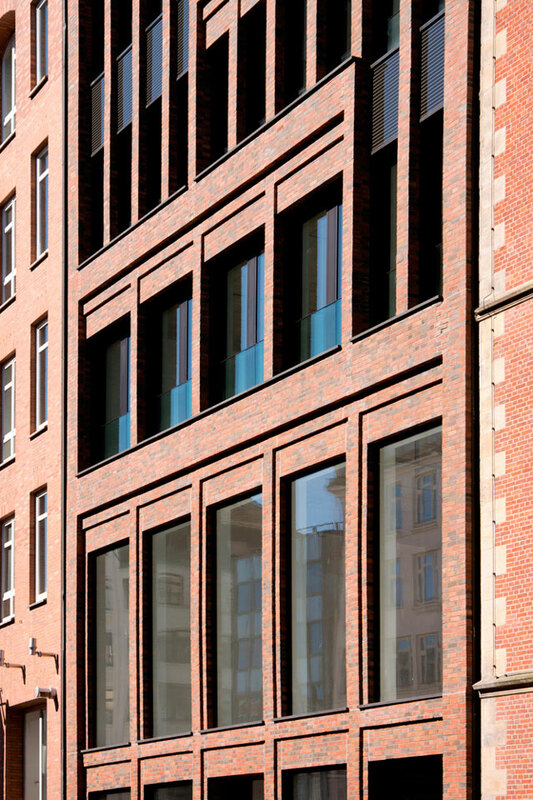 "Urban Design - facade - design"
This project for a new office building at Große Bleichen 19 lies in the cityscape – a formative district of Hamburg’s inner city and in direct proximity to the Alte Post and Bleichenfleet. 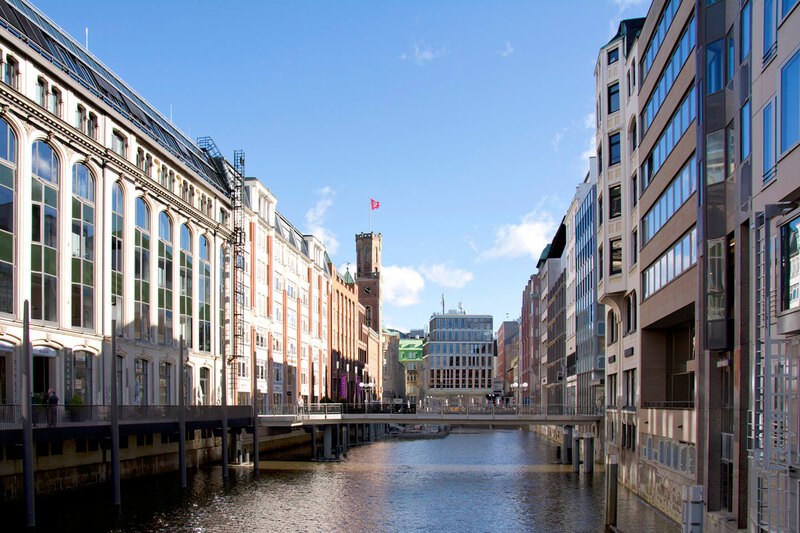 New six-storey buildings will cover a gross floor area of about 6,700 m² in total. Only 14 m wide and 80 m long, the gap site houses contiguous retail areas on the ground and first floors connecting the street and the Fleet. 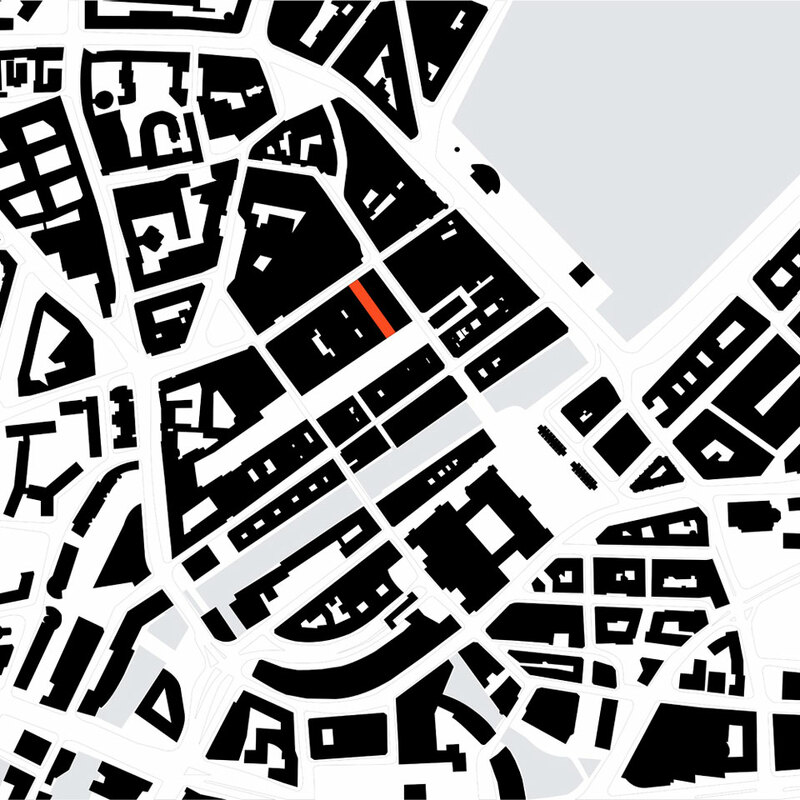 The second to fifth floors will house small or contiguous units of rentable office space, and those in the centre section will have light wells. 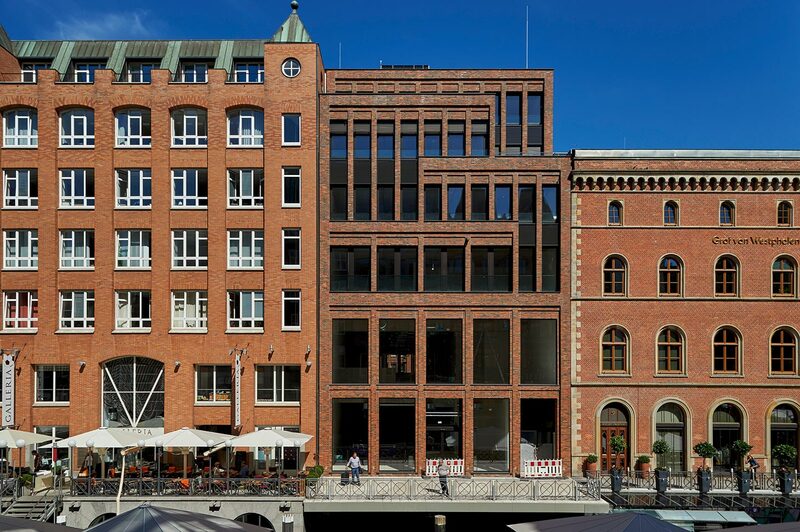 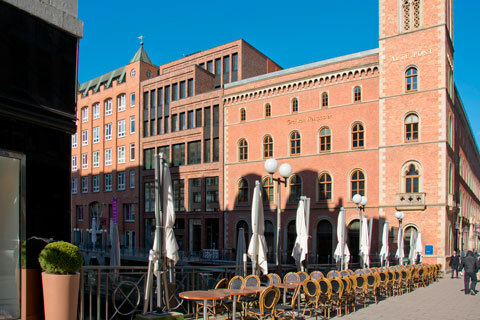 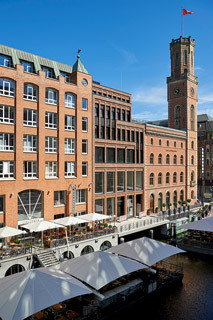 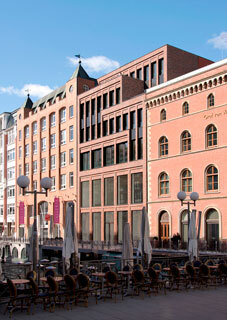 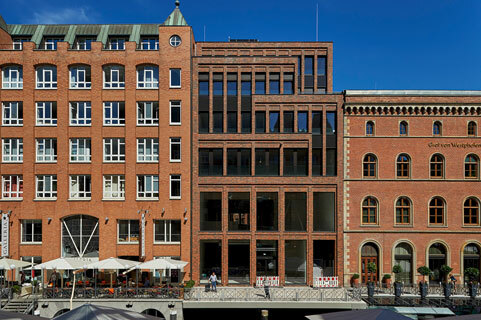 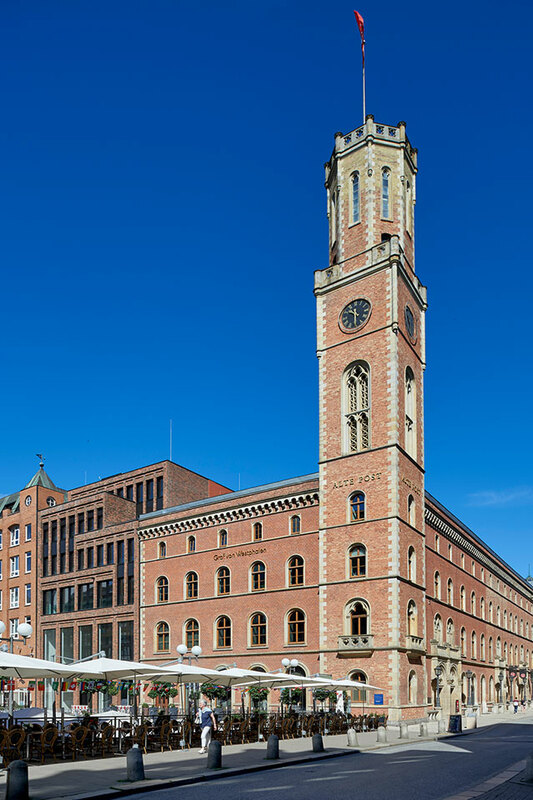 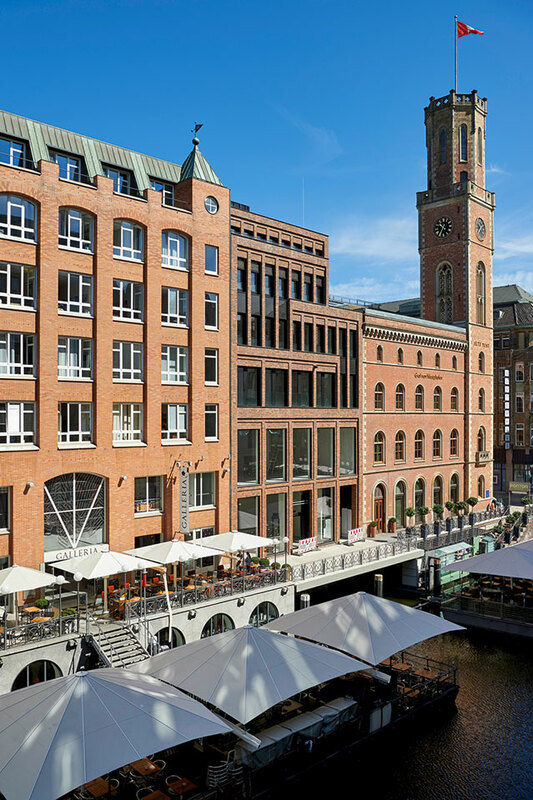 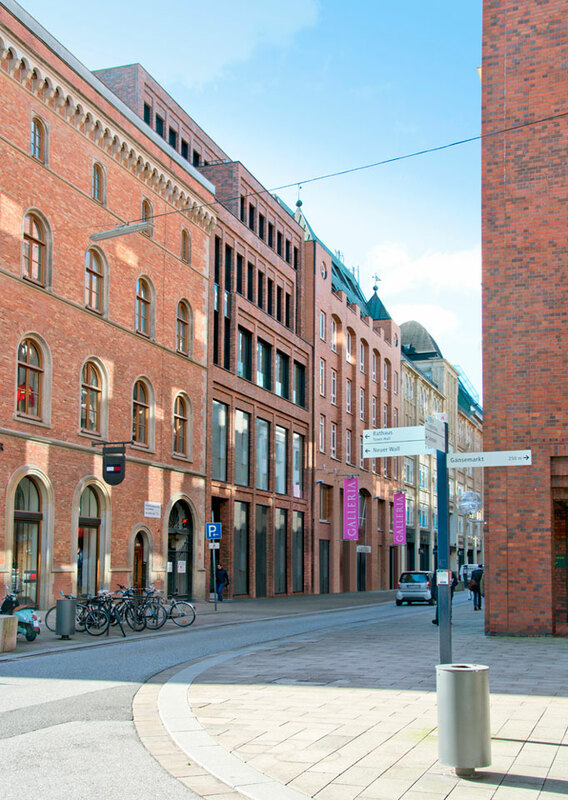 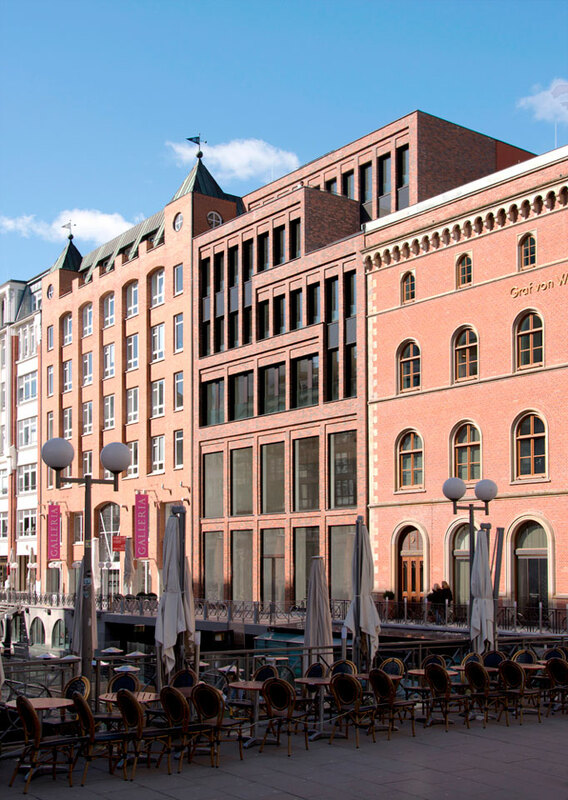 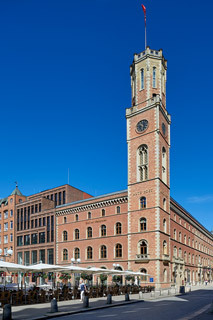 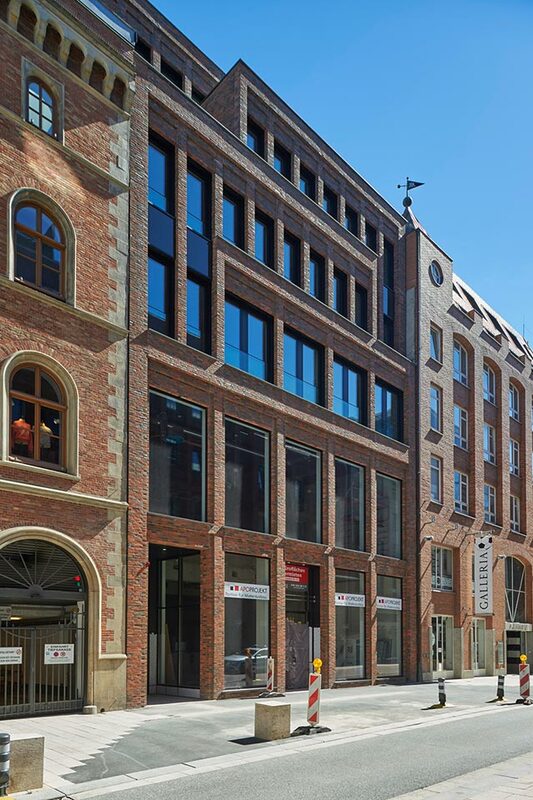 The building communicates between its neighbours, the Alte Post with relatively low eaves and the Galleria Hamburg with with its far higher roof edges, by embodying a design idea extrapolating these offsets into angled facade sections. 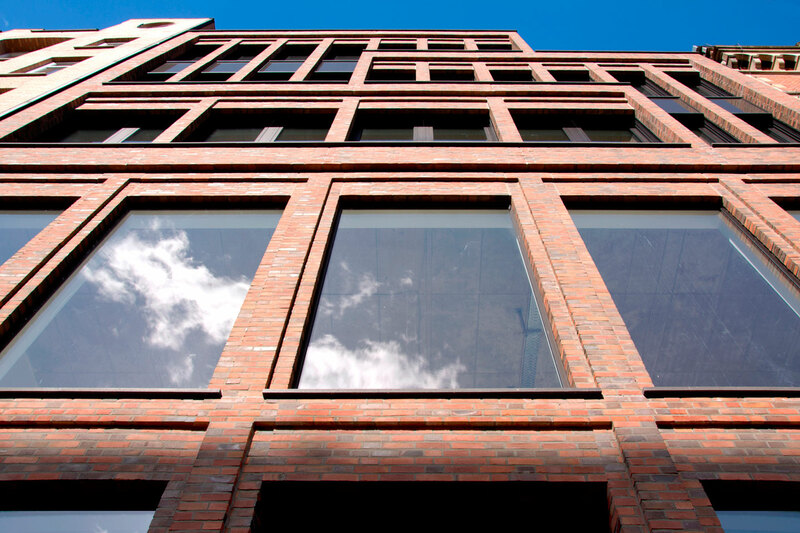 Intermeshed with each other, they form the connection between the neighbours, yet retain the independent character of the building. 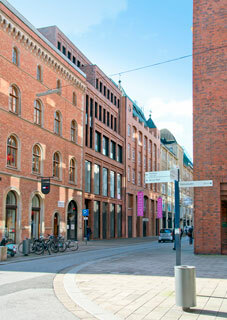 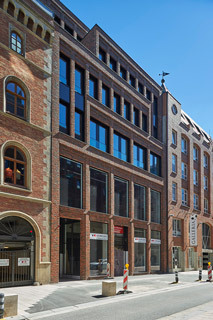 The red brick used for the building underscores the desired integration of the new building into the ensemble of brick buildings, some of them listed. 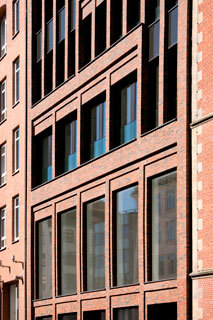 At the same time, contemporary details and anodised aluminium facades uphold the link to the present.